Smell-O-Vision will soon be a reality. You will be able to smell what is going on in your favorite movie or television show. Some refer to this phenomenon as “4D” since it adds another dimension to the 3D experience currently available. Imagine watching TV at home and a commercial for McDonald’s comes on. You may be able to actually smell the Big Mac and fries. 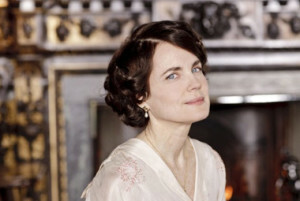 Or you may be watching Downton Abbey and catch a whiff of Lady Grantham’s perfume accompanied by a convenient button on the side of the screen that allows you to order her scent. This new dimension in entertainment will remake and create industries. Especially once 4D TV makes it’s way in to a significant number of households. The perfume and cologne industry have much to gain from 4D. Food and dining establishments could also use this technology to promote their products. But what about the more subtle influences and uses of 4D TV? 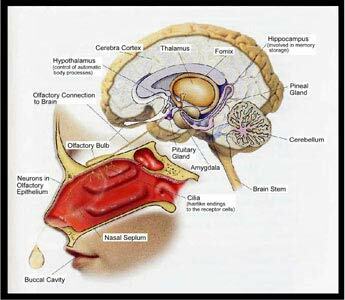 Smell is a direct path to the emotional center of our minds. 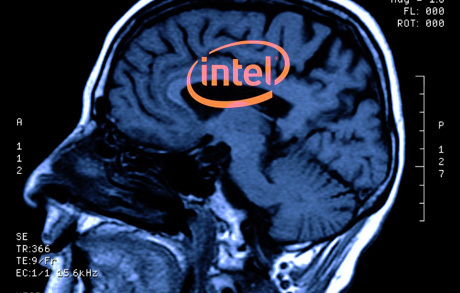 A familiar smell can spark an intense memory. A disgusting scent can cause instant dislike. What would it be like to watch The President speak on TV and occasionally smell his after shave? That’s an endorsement Gillete might like to have! Or what if a political candidate decided to pipe in the smell of apple pie into your living room as you watched his speech? How might that effect the way you perceive that person? On the dark side of things, what if CNN brought you the smell of war and it’s aftermath? That memory might stick with you for quite some time. In elementary school I did a science project that explored the link between scent and taste. I will never forget how participants in the project could be induced into having taste hallucinations simply by introducing a smell while they were eating. Smell has a big influence on how many of us perceive the world. The power of smell should not be underestimated. This entry was posted in Biology, Commercial Applications, Psychology, Technology on March 8, 2013 by HFuturist. 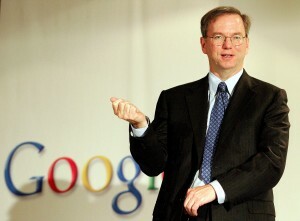 A former classmate of mine from the George Washington University attended a meeting hosted by Eric Schmidt, former CEO of Google, some months ago. One of the members of the audience asked Schmidt what to expect from Google over the next 20-30 years. Schmidt hinted that we may see instant Google search results via some sort of chip embedded in our brains some day. The fact that most of us can take this at least somewhat seriously, shows how much technology is progressing. 50 years ago this would have sounded like science fiction. What happens when something like this becomes science fact? Instant Google search results in your mind will be the first step on the road to immortality for human beings. On that journey to immortality, our society and culture will forever be changed. By the time we perfect the brain to chip interface, Google will have gone through many many advancements in search methodology and results listings. Search results will probably look very different from the way they do today. The search results will be more accurate and instead of getting pages and pages of results, you may only get 2 or 3 links that match EXACTLY what you are looking for. That is good news. You would not want your mind cluttered up with SPAM search results. All joking aside, what in the world would an internal, brain interface with Google search results be like? The times will be a’changin’ for specialists such as lawyers, doctors, engineers and the like. With the sum of all human knowledge readily available in our minds, all of us will “know” just about everything we need to know in order to prosper in society. The information will most likely not take the form of lists or links to scroll through. Rather, knowledge (search results) will appear as needed, if you opt in. For example, when you type a search now at Google…before you finish typing, guesses at what you are looking for start to appear automatically. Something similar to this could happen in a situational context. Let’s say you find yourself in a situation with a pregnant woman who is going in to labor. The knowledge of how to deliver a baby will “come to you” seamlessly and you will be able to deliver that baby yourself. Not only will the technical details of how to do it be in the forefront of your mind, there may also be a little wisdom thrown in. The experiences of doctors may also be available to you. You’ll be able to pick and choose the methods and techniques you use to deliver that baby based on what went right and what went wrong for others in your situation. Lack of schooling will no longer be a barrier for most occupations. When everyone has instant access to all information and instant access to “enough” online wisdom, most jobs that exist today will be able to be performed by anyone. The major exception will be creative jobs….maybe. When anyone can perform almost any job, people will gravitate to occupations that they want to do, not what they HAVE to do. A woman who just turned 18, could have her chip installed one day and then practice neurosurgery or law, competently, the next day. In fact she could be a doctor, lawyer, engineer and computer programmer all with the same ease. What makes us who we are? Our brains. Information will not be a one way street when it comes to the chips in our brains. In order to do the searches, that chip has to be able to read our minds on some level. As the technology improves, that chip will become better and better at reading our thoughts, storing our thoughts and transferring our thoughts. Eventually, the line between chip and brain will disappear. Imagine a situation where someone in the future gets “killed” in a plane crash. Their body and their chip are completely destroyed. Shockingly, the family does not mourn. Why? Because before the plane trip, their loved one did a brain backup at the airport. It is reasonable to assume that robotics, cybernetics and cloning will have reached a level where the human body can be duplicated. The Japanese have already begun this process. That loved one who “died” in the plane crash will be reloaded in to her new body. She will wake up with the memories of everything up until her backup. She may open her eyes and insist that she has a plane to catch. This entry was posted in Commercial Applications, Evolution, Society, Technology on March 5, 2013 by HFuturist. The human brain is an extremely complex organ with billions of neurons. Some estimate there to be about 100 trillion connections between the neurons in our brain. Numbers and quantities on the scale of billions and trillions are common in nature, but not so much in our every day lives. Unless you happen to be an astronomer. Look at these two photos. One is a picture of the brain and one is a picture of galactic super clusters. The similarities are striking. Conveniently similar pictures aside, it’s important to remember that the difference in scale is enormous. Galactic super clusters are millions and sometimes billions of light years across. To put that in to some perspective, light travels at 186,282 miles per second. Light can travel around the world 7 times in one second. Yet it takes light millions of years to travel from one side of a galactic super cluster to another. The almost unfathomable enormity of the universe forces us to constantly revisit our place in it. On a universal scale, we are “microscopic”, perhaps “subatomic”. To make a comparison, It’s as if we are on an electron orbiting a nucleus in an atom. 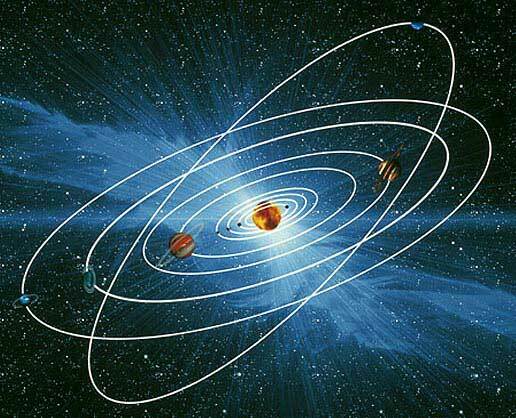 Orbits make the universe go round. Suppose for a moment that there were tiny, intelligent organisms living on an electron orbiting the nucleus of one the atoms in your brain. The perspective of those organisms would not easily lend itself to understanding the nature of your brain, let alone the world you and I live in. To those organisms, the distances between atoms would be “vast”. Similar to the vastness we perceive between star systems. Yet those organisms would be living on a small building block of a much larger, cohesive entity, you. They would most likely have no way of knowing you exist. In fact, if you were to suggest to those organisms that “super massive” life forms like you existed, they would have a hard time comprehending it. Their physics, their methods of perception and perhaps their “time” would be dissimilar to ours. Their world would be one where quantum mechanics and quantum effects were in plain “sight”. They would most likely not use light as their perceptual information carrier of choice. Their carrier may have it’s own limitations, similar to our light speed limitations. So any suggestion to them that objects could travel faster than their perceptual information carriers may sound ludicrous to them. Could we be in a situation similar to those tiny, “naive” organisms? 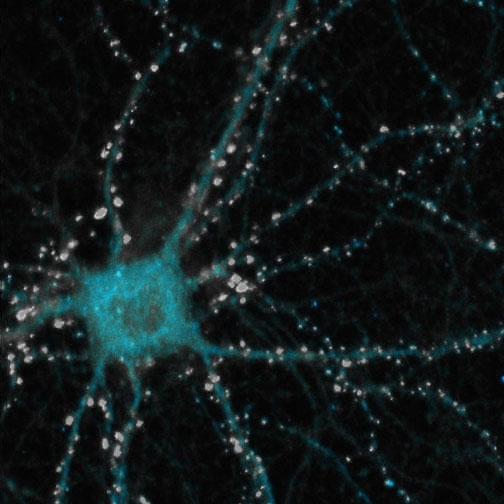 Could we be living inside a giant brain the size of our universe? As we look out in to the universe with ever increasing depth, we find that it is NOT how we imagined it. There are super structures that are interconnected and moving and changing and evolving. The time frames in which these structures change and the scales at which they operate dwarf us to the extreme. 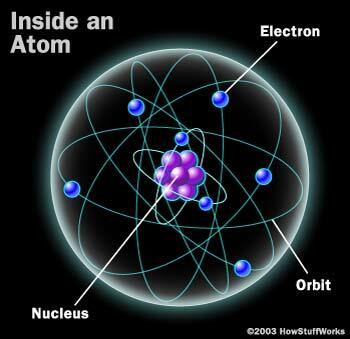 We very well could be on the equivalent of an electron orbiting a nucleus, part of an unfathomably large structure. 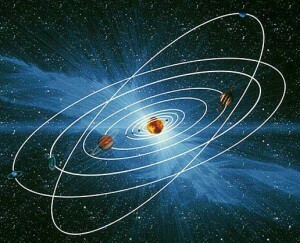 This entry was posted in Astronomy, Cosmology, Science, Time on March 2, 2013 by HFuturist.